Masa dough is a dough made from corn masa flour/masa de maiz (hominy). The dried and powdered version of masa de maiz is called Masa Harina (Maseca is the major brand) and it is widely available in the US market. Masa dough is used for corn tortillas, tamales, empanadas, gorditas or pupusas. If you have a Latino market in your town, you probably can buy a bag of already-made dough. 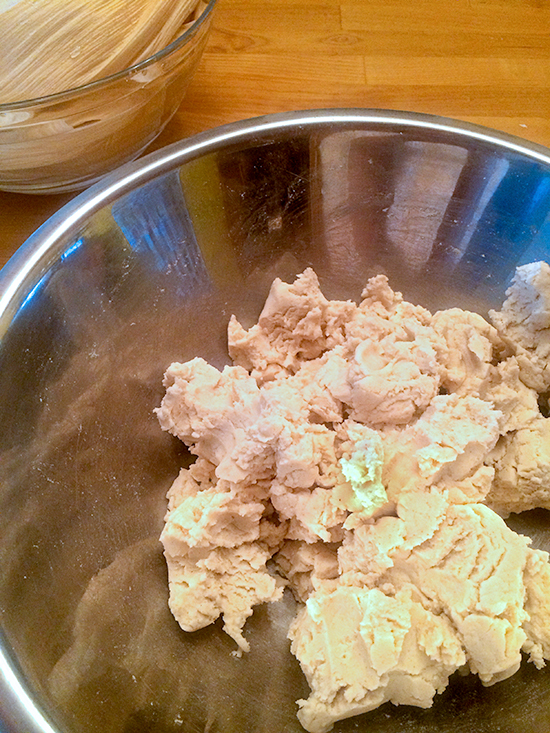 If you can't find ready-made dough, don't be disappointed. It is very easy to make. Mix all ingredients together and knead well. The consistency should be not too wet or not too dry. It should not stick to your hand but it should be moist and soft. If the dough is too dry, add a little more hot water.